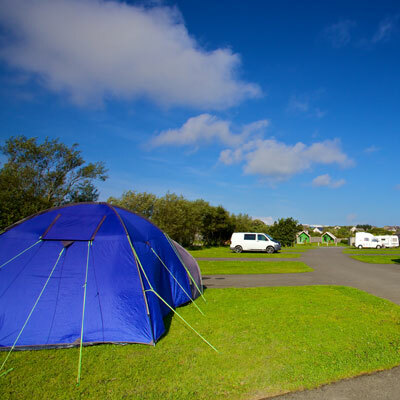 Out camping field is the perfect place to pitch your tent whilst being surrounded by stunning countryside. The tent pitches are well sheltered and a limited number of electric hook ups are available. Our caravan park has 28 pitches in total for caravan/motorhome pitches. Six electric hook ups are available. 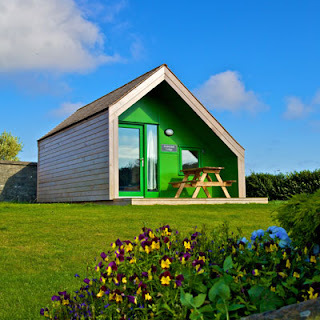 We have two charming glamping pods available. St Magnus can accommodate six people in one double sofa bed and two sets of bunk beds. The Grainbank can accommodate five people in one double sofa bed, one set of bunk beds and one single bed. The pods come fully equipped with kitchen appliances, energy lights, heater, double sockets and a reading lamp. Outside each pod is a picnic table. Alongside the campsite there is direct access to a modern children’s play park, including multi use games area and two climbing frames.